Tochinoshin announced on Saturday his withdrawal from the ongoing Nagoya Grand Sumo Tournament due to an injury to his right big toe. The new ozeki was injured on Friday as he suffered his first loss of the tournament in a bout against komusubi Tamawashi. After undergoing an MRI on Saturday, Tochinoshin was diagnosed with an MP joint collateral ligament injury in his toe, requiring up to a month's rest and probable treatment. "(My toe) has been swollen since yesterday. It's painful, I can't even step on the ground," Tochinoshin said. "It's a little disappointing, and I'm sorry. I'll put ice on it for two or three days, and if it gets better I'll fight again." 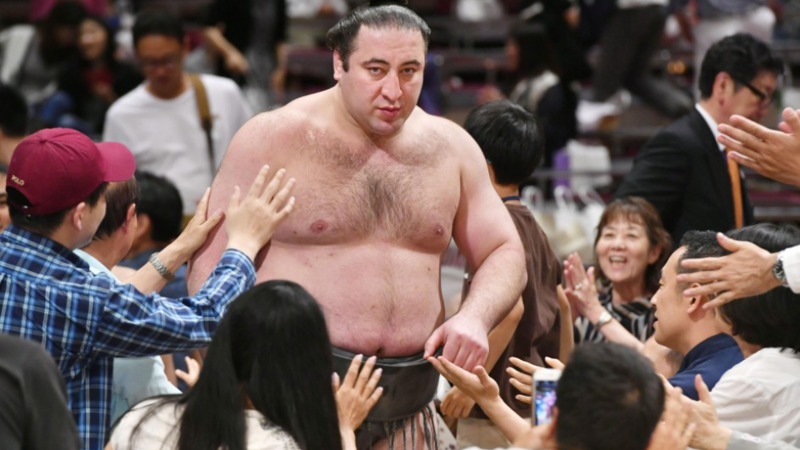 The 30-year-old Georgian was seeking a second makuuchi division title and to become the first wrestler since Hakuho in 2006 to win his debut tournament as an ozeki, the sport's second-highest rank. "It's unfortunate, but he's not in a state to wrestle," stablemaster Kasugano said. "Even though there are no yokozuna, and he wants to live up to expectations, he just can't fight well enough." "It's not a fracture, but clearly (the joint) is off. If we see a dramatic improvement to the pain, then he'll fight again." It is the first time Tochinoshin has withdrawn from a tournament since last year's New Year meet and the seventh time in his career he has missed all or part of a meet. Tochinoshin is the latest top-tier wrestler to pull out of the 15-day event at Dolphins Arena following the previous withdrawals of all three grand champions. Kisenosato withdrew prior to the tournament, while Hakuho and Kakuryu pulled out after Day 3 and Day 5, respectively.